To crowdsource information and tasks is an everyday part of the interconnected online world we live in. Today scientists see, and have grasped, the opportunity to get labour intensive tasks done by large numbers of people. At any given time there are many examples of ‘citizen science’ projects where the public can contribute to research. The power of this approach was highlighted recently when the Botanics put out a call for reports of a suspected new tree pest called the zigzag elm sawfly. 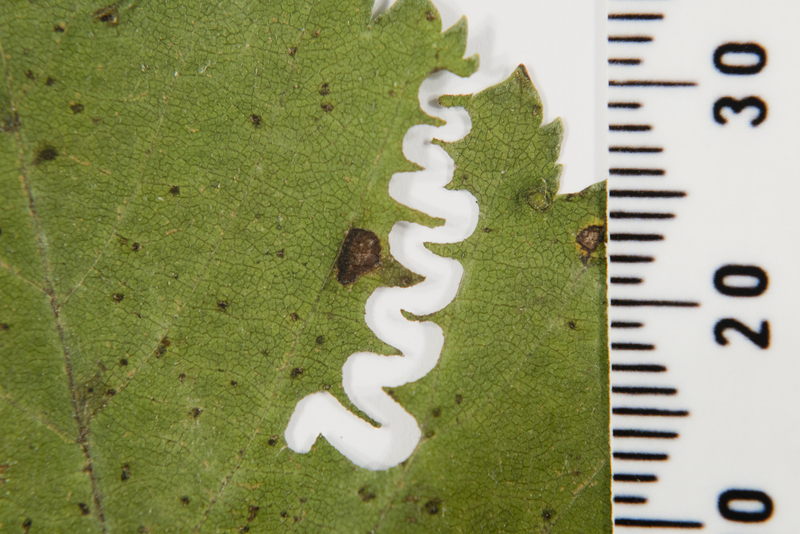 This task was ideally suited to crowd-sourcing as the insect pest in question (Aproceros leucopoda) produces a characteristic and obvious type of feeding damage to elm leaves that takes the form of a zigzag. To capture public imagination we likened this to the mark of Zorro, the swashbuckling swordsman of film and television. The distinctive zigzag feeding damage on elm leaves collected in Surrey in 2017 and sent to RBGE turned out to be the first UK evidence of a new insect pest known as the zigzag elm sawfly. RBGE scientists had identified the typical zigzag damage on elm leaves from Surrey in autumn 2017. Specialist entomological advice was that this was almost certainly the suspected sawfly, which had been spreading through Europe from Asia. However, the presence of this pest in the UK could not be confirmed from feeding damage alone, so the challenge presented itself to find a specimen of the adult fly or caterpillar-like lava. The story was kept on hold over the winter as Defra’s pest risk analysis had already ruled out eradication as an option. In addition, no evidence of the sawfly would be visible without leaves on the trees. On 21 June RBGE put out a press release on the discovery with a call for help from the public. That evening the BBC News Channel did a live interview on the story and the following day BBC Breakfast ran two live interviews. A number of national newspapers ran the story, including The Times, Guardian and Daily Mail. Social media activity around the story quickly built up. 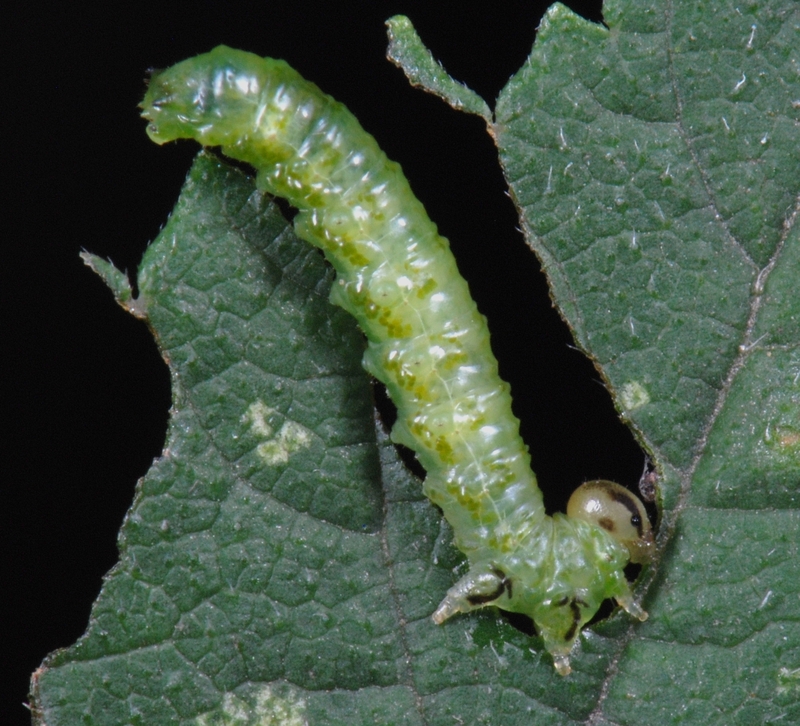 In response, the first photographs of the larva feeding on elm leaves were posted on Twitter on 24 June only two days after the story had become widespread on print and social media. Larva of the zigzag elm sawfly (photo by Stephan M. Blank). The first conclusive proof of this new tree pest had actually come from Cambridgeshire some considerable distance from the original evidence in Surrey. This raises the possibility that the sawfly may be more widespread than we realise. It also underlines the need for more records and some attempt to monitor the spread and impact of this insect pest. The elms themselves are unlikely to be killed, even in a severe infestation. The big worry is the threatened white-letter hairstreak butterfly as it relies on elm as the sole larval food plant. Populations of this attractive small butterfly collapsed with the loss of so many elms from the 1970’s onwards due to Dutch elm disease. Losses to this fungus are still occurring, and Scotland is now one of the last remaining bastions of elm throughout Europe due to this devastating disease. 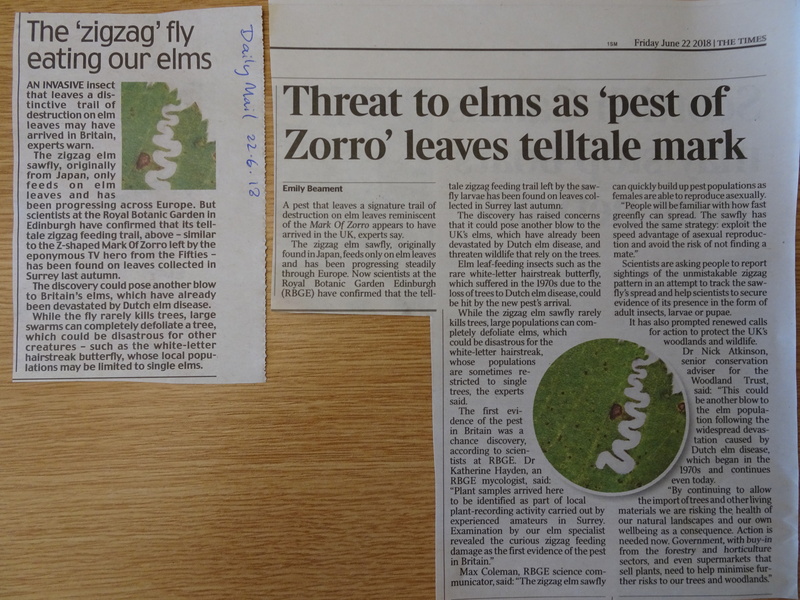 Newspaper coverage of the zizgzag elm sawfly story from 22 June. So the message is clear; we need to get outside and look for the mark of Zorro on our elm trees. Sightings of leaf damage, larvae and adults can all be reported on the Tree Alert website maintained by the Forestry Commission.